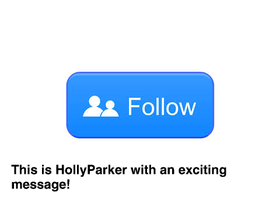 Please follow my other account, @HollyParker instead of this one. Thanks! I want to follow 1000 people! If you want me to follow you, you can comment on this account or my featured project. Thanks!